Cycling isn’t the only challenge during the Tour de France: The athletes need to eat 6,000 to 9,000 calories every day to maintain their health. Here, 10 healthy foods to keep you energized while watching the final days of the incredible race. 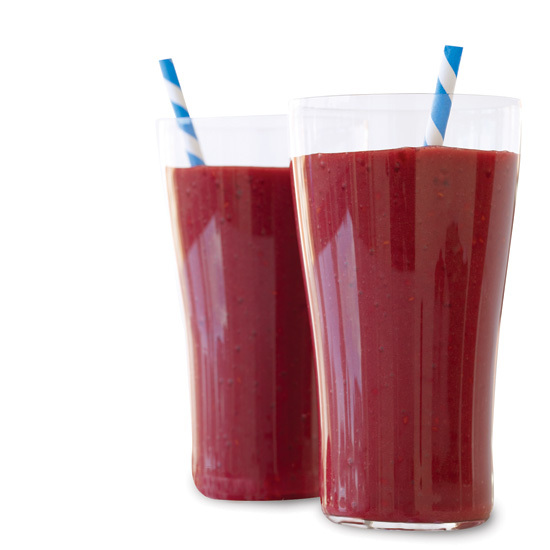 Nutritious Amazonian berries star in this delicious smoothie. Made with low-fat plain yogurt, these breakfast treats are rich in calcium. This hearty breakfast is ready in just 30 minutes. Any mix of nuts and dried fruit will work for these honey–flavored snack bars. Spike Mendelsohn made these healthy burgers for the First Lady. Rosemary doubles as a flavor booster and a skewer in these easy kebabs. This nourishing vegetarian pasta features squash that’s pickled and then grilled. Flaky salmon and crispy shallots are fantastic with sweet melon. Underripe mangos add fantastic tang and vitamin C to this easy dish. These decadent brownies are completely gluten-free.